Making peanut butter has been on my single use plastic free to do list for a while. I usually buy large tubs of it, which is good because there is less packaging than if I bought lots of small ones, but not great because the tubs are plastic and are not recyclable in my local area. They sell raw peanuts loose in their shells in my local grocery shop, so I decided to buy a load and give it a go. 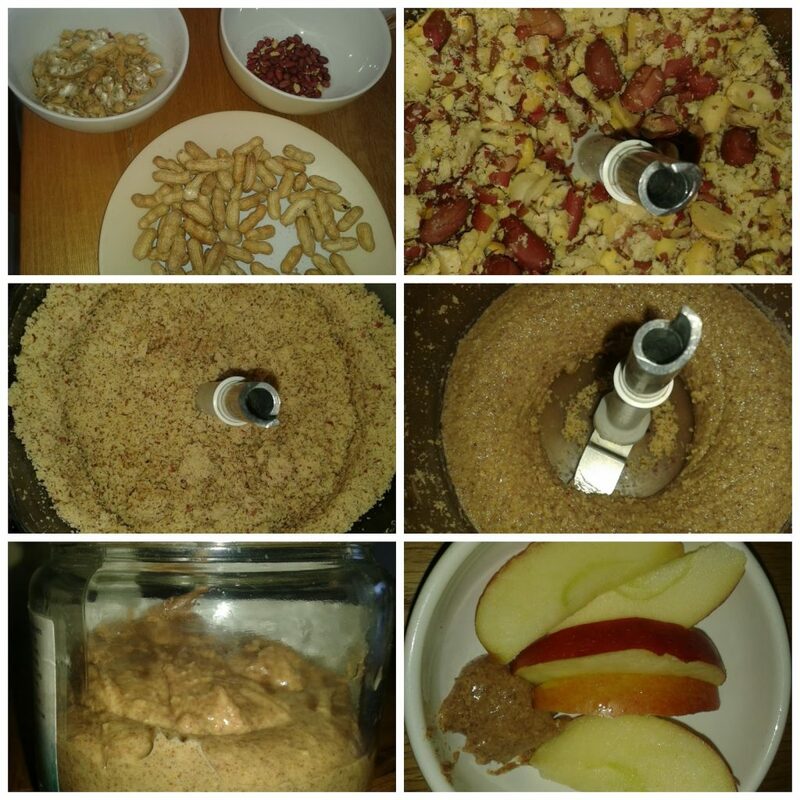 I discovered peanut butter is so simple to make, if a little time consuming the way I did it. Roast the peanuts in a hot oven (set at around 180 degrees C) on a non-stick baking tray (e.g. stoneware or glassware) for a 3- 10 minutes on each side (glass and stoneware take longer to heat up and you can’t pre-heat the oven with stoneware, so they will take longer to roast if you use them). Be careful to turn the peanuts every few minutes to be sure they don’t burn. Put the peanuts into a food processor and blend. They will go crumbly at first but keep going and they will become more liquid. Store the peanut butter in sterilised glass jars. Put the peanut shells to work – they make a good addition to a compost heap, could be used for crafting with or apparently can be used in place or charcoal or pet litter (see more here)! NOTE: If you want to make the process quicker, you can buy unsalted, shelled peanuts already roasted. Then you can skip steps one to three and start at step four. There are loads of things you can do with your peanut butter once you have made it and you don’t have to stick with plain peanut butter. You could add cocoa, chilli or any herbs or spice that appeals to you. You could even add your peanut butter to houmous (see my recipe for houmous here). Once it is ready you could spread it on crackers, turn it into a satay sauce or use it as a dip like I have in the picture above – peanut butter and sliced apples is surprisingly good! What would you add to your peanut butter and how would you eat it??? This entry was tagged eco, Frugal, Green, no baking paper, no clingfilm, plastic free, recipe, salt free, sugar free, thrifty, whole foods, zero waste. Bookmark the permalink. ← MADS – Please nominate me for best thrifty blog! Glad it was helpful Sandy! One thing I didn't mention is that to work out if the nuts are cooked enough you need to taste them to see if they taste like roasted nuts (be careful that they aren't too hot though). If you get a chance to try the recipe out, let me know how it goes!